Near the ancient potter’s village of St Quentin, 5 Km from UZES, Jeanine Buisson will welcome you in her house, where two bedrooms are available. 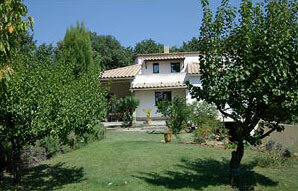 The House is set in a secluded garden, with lavander, roses, fruit and olive trees. Food is available on request. Information can be given on the many historic sites, walks, cultural events of the area.